POLITICIANS ARE so used to acting like politicians they can’t stop doing it no matter what. In the wake of the B.C. Legislature spending scandal, Liberal Leader Andrew Wilkinson has called for a political ceasefire while new standards are developed to guard against misspending by politicians and bureaucrats. He wants more transparency, better accounting procedures and restrictions on foreign travel. Arguably, Wilkinson’s call for the politics to be taken out of the issue is, in itself, political. At the same time, Green Party Leader Andrew Weaver pledges to do “whatever it takes” to restore public confidence. A politically astute position to take, sure. There is a crisis of public confidence in the leadership of the province right now that calls for a better approach than our politicians have been giving us. Truth and reconciliation is needed. The first rule of reconciliation is that while experience forms the basis of correcting mistakes, using the past as a cudgel isn’t productive or even acceptable. The solution lies in a focus on moving forward, not backward. 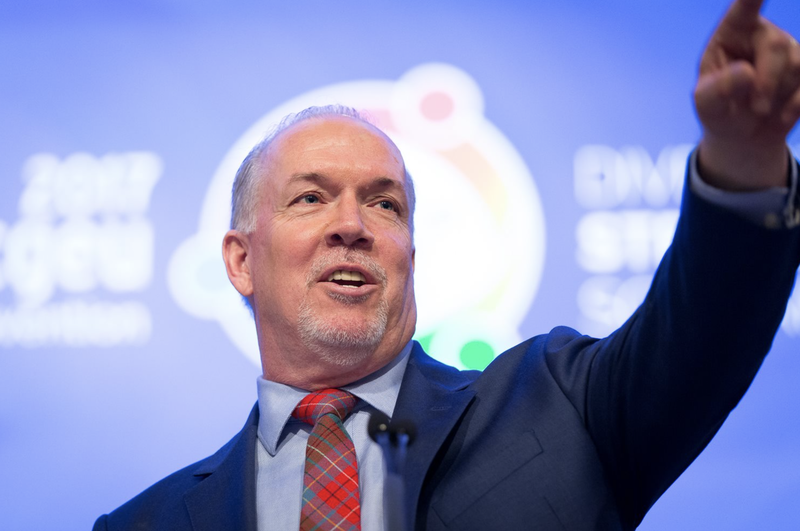 As premier, Horgan has a duty to work with the other two parties on this one, not to dwell on motives and blame. Instead, he chooses to continue the sniping, playing the same old political games he accuses the Liberals of. Is it not possible, just for awhile, to set that stuff aside until this gets sorted out? As the greatest conciliator of them all, Nelson Mandela, said, it’s about correcting the defects of the past, not about retribution. Up to a few days ago, Wilkinson et al insisted on criticizing and kept trying in discrediting Horgan et al. Then another report came out highlighting more behaviour from Wilkinson et al. …they are not idiots. But now that Horgan used a little Irish temper to rightfully show a little disgust here comes Mel populist “criticism” de facto trying to stuff the righteous into a corner of blame. What Wilkinson et al should have done is a serious mea culpa and should have taken serious steps in addressing all the bad things they have done. That’s how you restore public confidence. Mel, you are asking us to ignore the inconvenient fact that two separate reports highlighting these concerns where brought forward since 2007, and both were buried by Wilkinson’s party (which held a majority of seats in the Legislature, and controlled the Speaker’s chair). Right now is a dreadfully convenient time for the BC Liberals to ask for “more transparency, better accounting procedures and restrictions on foreign travel”, and look like they care, isn’t it? Like it or not, Mel, it’s the BC Liberal party that was in firm control of the purse strings while this culture of entitlement flourished, and they will have to wear that. Power comes with responsibility, and they had 100% power to abuse the system or fix it. I’m not saying other parties would not have done the same thing, but the responsibility for this particular mess falls on them since it happened on their watch while they chose to ignore clear warnings. The improved systems and better financial safeguards that will hopefully come out of this fiasco will help all parties avoid similar temptations in the future. Well said Mr. Rothenburger. I’m not sure that our Premier is able to shed his political clothing to honestly deal with this issue. I am saddened by Horgans’ blame game. If the kind of chicanery revealed by the present speaker’s report is proven to be true I want those responsible to pay back to the public purse the amount they have been playing fast and loose with. I don’t consider that requirement to be political, I consider it part of an appropriate response. From a political point of view those involved in such theft should not be allowed to run for any public office in the future nor be allowed to complete their term of office if they still represent the electorate. It is quite possible that may result in by-elections but so be it. It is the price of a smoothly running and credible democracy.